We are the only RYA powerboat training centre to offer two distinct training paths: One for RYA training courses which enable you to gain your ICC qualification and One for Own boat training to give you more confidence and enjoyment on your own boat If you need a license to be able to rent a sports boat or RIB abroad (ICC) or wish to obtain an RYA Powerboat Level 2 certificate in order to drive a sports boat under 10m in length, then follow powerboat training path 1. 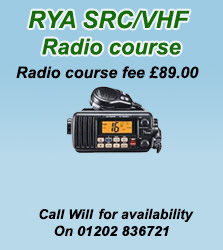 We run RYA Powerboat training courses including Powerboat level 2. These courses are designed to equip you to handle a powerful sports boat or RIB in confined spaces such as a marina as well as at speed on the sea. The boats we use are very well equipped, sea-going RIBS fitted with all the controls and equipment you are likely to encounter on a rental boat or your own. 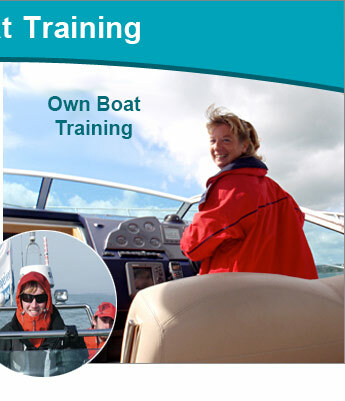 If you own your own boat then this training is designed for you. These courses are individually designed to meet the specific needs of you, our customer and can include the use of equipment you may have on board your own boat. You can buy a gift voucher at any time to treat someone to one of our training options. They make the perfect gift for those who like fun-orientated outward bound adventure as well as serving to educate enthusiasts of all ages new to powerboating. Powerboating is enjoyed by many as one of the most exhilarating and invigorating hobbies around. 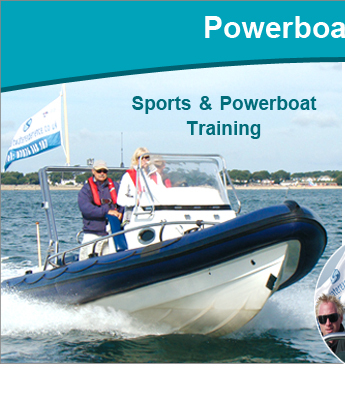 Powerboat training courses allow owners and enthusiasts to gain more from their experience. The skills learnt through our powerboat training courses here at Saltwater Experience will not only provide you with the skills necessary to handle your boat in harbours and out at sea, but install a new level of confidence to allow you to explore and venture out further than you did before. The RYA powerboat level 2 training course is suitable for absolute beginners as well as existing boat users and one of the key reasons behind its success lies in it being so practically orientated. With over 70% of the course carried out at sea, those who embark upon the powerboat training level 2 scheme can expect to learn key skills such as manoeuvres, high speed handling and off-shore navigation. Through practice we aim to make you comfortable handling your boat during difficult situations, teaching you valuable skills you can put to use regularly. All of our powerboat training courses are carried out by a qualified RYA instructor. Our aim is to share as much knowledge as possible with you during the two day course. Our extensive experience in powerboat training along with our enthusiasm for it always rubs off on our students and we strive to make the course as interesting and entertaining as we can. As with all our powerboat training, during the RYA powerboat level 2 training course, we monitor your progress along the way and focus on your individual areas for improvement to make sure you get as much out of the course as possible. As one of the most well recognised powerboat licenses providers, the RYA powerboat training courses we provide are recognised across the world as well as by most insurance providers. Those who complete the powerboat training level 2 course will also be eligible to go on to apply for an International Certificate of Competence to drive powerboats of up to 10m (33ft) in length without the need for further training or examination.